Manufacturer of Sports Protective Walls. Our product range also comprises of Indoor Sports Floor, Outdoor Sports Floor and Portable Sports Floors. 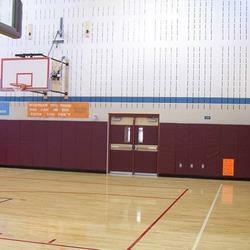 Our offered Sports Protective Walls that are high performance next innovation protective walls.